So I’ve started this blog post like 14 different ways (not exaggerating). It just might be the most challenging one yet. Once you know what it’s about maybe you’ll understand why. I’ve been told there are 936 weeks in the life of a child from birth to 18. We have a visual for those weeks here at Orange in the form of a jar filled with 936 marbles. The idea is that when you count the weeks you have left with a kid, you stand a better chance of making your weeks count. As you take one marble out of the jar each week, the marbles begin going down, you see what you have left… you get the idea. Since we were all enjoying some family worship time in the sanctuary this past Sunday, I need your help! This is what were were going to be talking about in Children’s Church and I need you to pass it along to the kids. This is complete with everything you need to talk to the kids. Give it a try, you may find out that your not as scared to talk to your kids as you thought! In 1 Kings 21:1-19, 27, we find King Ahab whining about not getting something he wants. A guy named Naboth owned a vineyard that Ahab desperately wanted. His wife, Queen Jezebel, took matters into her own hands and at Naboth’s expense, gets Ahab that vineyard. 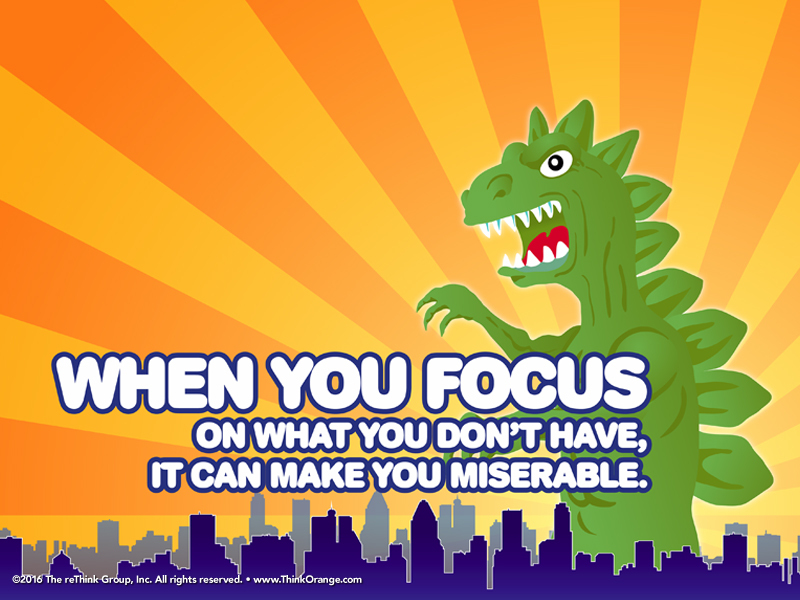 Bottom Line: When you focus on what you don’t have, it can make you miserable. For Ahab, even though he got what he wanted, it was ultimately a bad move for him. God gives us so much. When we focus on what we don’t or even can’t have, we can become angry and bitter at God for not giving us what we want. God has our best in mind. We should trust Him no matter what. Our Memory Verse is Philippians 4:12b (NIrV), “I have learned the secret of being content no matter what happens. I am content whether I am well fed or hungry. I am content whether I have more than enough or not enough.” When Paul wrote this, he was under house arrest. He could have complained about not being free, but instead he focused on God and found peace in the middle of a difficult circumstance. Our kids can discover this same peace when they trust God with what they have and don’t have. This Sunday, we are having a lunch and event that has never happened before! Sunday’s lunch will be Bar-B-Que with baked beans, cole slaw, corn on the cobb, sliced bread, dessert and drink for only the donation that you leave in the bucket. To-go plates will be available to be picked up for $5 each and we will be selling Bar-B-Que after all the plates have been served. The festivities will include a pie throwing afterwards! You can pay $20 for a pie and then you get the free shot to do what you always wanted to do, throw it at a person. 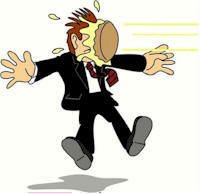 Since I am hoping that this will be the last fundraiser, I am taking the pies in the face. I look forward to seeing you there on Sunday for some great food and fun! Are you wanting to connect with your kids through what we do in Children’s Church? Are you looking for a new way to discuss the Bible with your kids? Well check out the Parent Cue App. With this tool you will find new ways each day to expand your discussions with your kids! You will also hear from great parent coaches to help you along the way in your journey as a parent. And who doesn’t need some help every now and then? Just click on the graphic above. Have you ever felt as though you are just not enough? Your parenting skills are lacking at times? This month, New York Times best selling author Jon Acuff joins Kristen Ivy to talk about reasons parents sometimes feel like they’re not enough. Check it out in this months podcast. 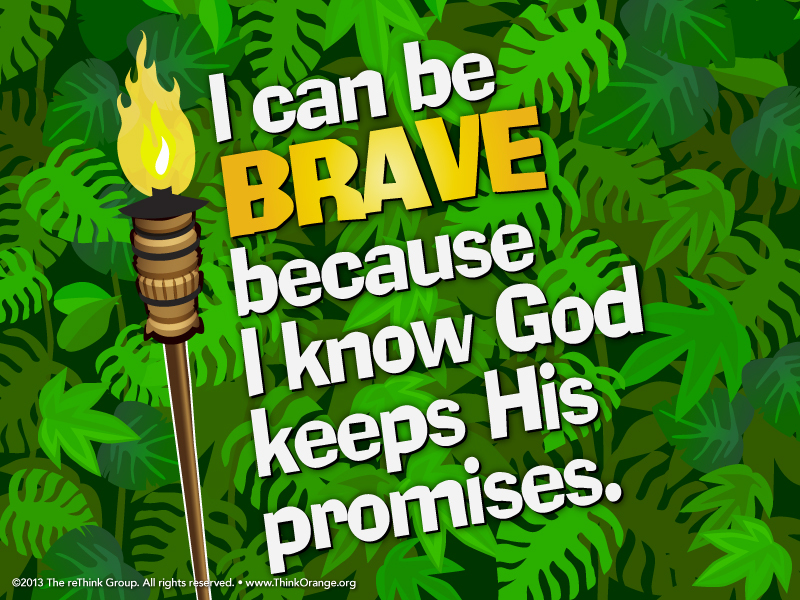 VBS is just around the corner! 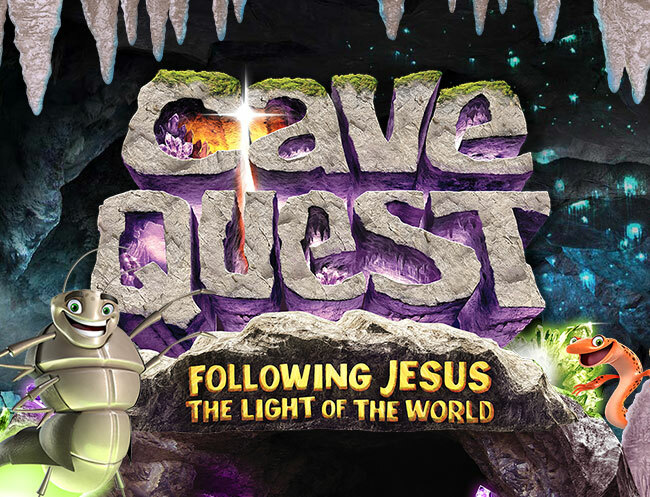 Have you signed your kids up for this year as we Follow the Light of the World? From June 20-24 starting at 6:00 and going to 8:30 we will be exploring Gods word and meeting new friends along the way. We would love to have your kids there! Just click on the link and REGISTER through our KidCheck software. If you have any problems, please EMAIL or give me a CALL (706) 741-0584. This summer we will also be learning how sweet God’s word is Wednesday night when school is out! 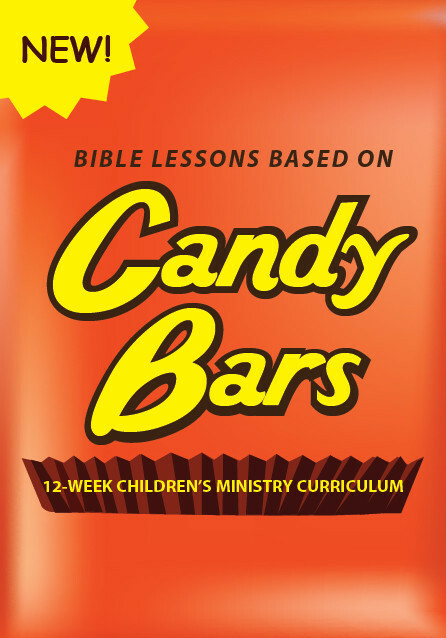 We will transition from AWANA to a Wednesday night lesson of…Candy Bars! Keep loving on the kids! Hey guys here is some of the information of the upcoming debate between Ken Ham (Answers in Genesis) and Bill Nye (the Science Guy). 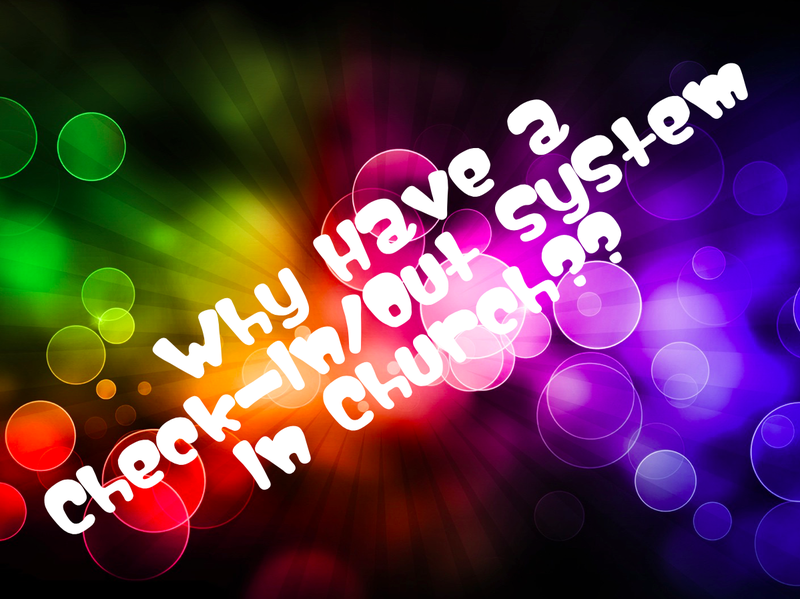 I have been talking to the kids about this in Children’s Church and AWANA. These are two of the foremost leaders in creationism and evolution. This will be an event that many people will hopefully be able to watch. So keep a check on the site to see what will happen. At dinner tonight ask your kids: What is your biggest fear? Then, talk about a time you let that fear hold you back.